These photos were taken from the 2002 Redlands Bicycle Classic on the Oak Glen Climb on March 15, 2002 by Chuck Bramwell with his Olympus C-2020 Z Digital Camera. This is the same location where photos have been taken of riders on the Breathless Agony Ride in 2000 and 2001. An insider's report from 1999 including a photo of a rider followed by a Grim Reaper can be found HERE. 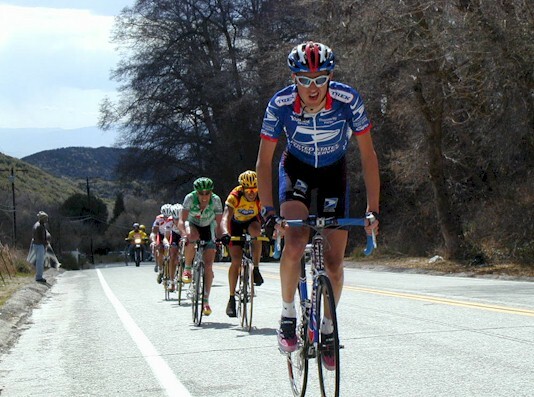 The pros on the Redlands Bicycle Classic race up to the top of Oak Glen where the Finish Line is for them for the day. No such luck for the Breathless Agony riders: after this brutally steep Oak Glen climb, there is the little matter of climbing another 7,000 Feet up to Onyx Summit!! The Oak Glen climb gains 1,690 Feet in 4.8 Miles for an Average Grade of 6.7%!! There are some pieces that are over 11.4% which even left the Pros out of Breath!! made this Oak Glen climb look easy!! 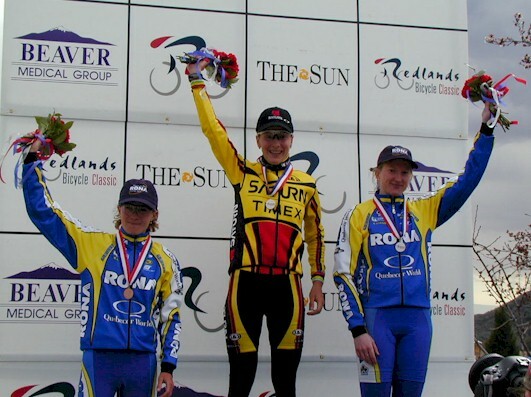 won 3rd Place in the 2002 Paris-Roubaix!! 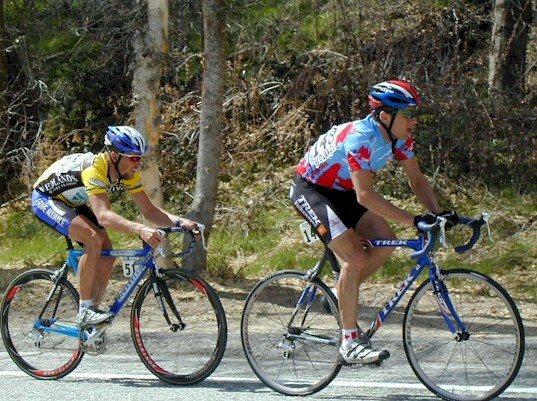 Roland Green and Chris Horner came in First and Second on this most difficult stage. The U.S. Postal Team was out in force here ... in fact, there are a couple of shots of Tom Boonen who would later ride to a 3rd Place finish in the 2002 Paris-Roubaix!! Notice the close up of the rear cassette to see what kind of gears the pros bring to this Oak Glen climb. You will also see photos of the end of the pro peloton tacking from one side of the road to the other in order to make it up this steep climb.